We all love Twitter, right? OK love is a strong word but at least some of us can surely agree that Twitter is a great way to stay up to date with what's going on in the world at large plus your little corner of things. But Twitter can also be a bit frustrating. While it's easy to get started, it's not always so obvious how to really make Twitter work for you. If you're on Twitter with the goal of reaching new fans, it's time to stop blasting randoms tweets into the atmosphere and start tweeting smarter. That's where Follower Wonk comes in. 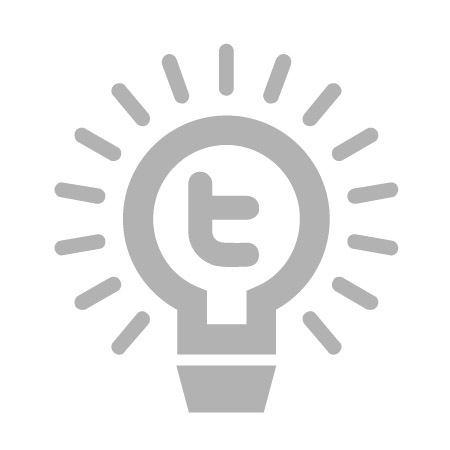 This poorly named but helpful service lets you search for keywords in Twitter bios (Twitter itself only lets you search actual tweets and usernames). This simple service has infinite potential for any entertainer (or marketer) who wants to reach new fans and industry contacts. 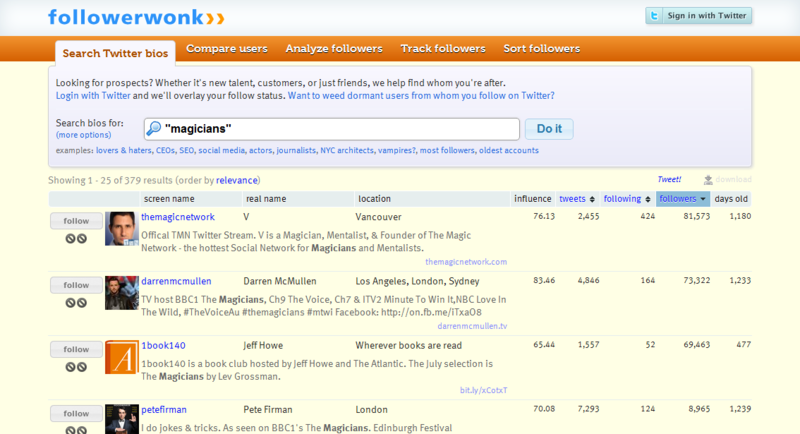 So who should you look for on Follower Wonk? If you're a magician maybe you can start by looking for other magicians. If you're a musician or in a band, do a search for music journalists or music bloggers. And you can drill down from there - country music blogger, hip hop journalist, whatever. Follower Wonk gives you vital stats for all the bios it finds. This makes it easy to target the really useful Twitter users and skip over those with smaller followings or are located out of your market. Once you find important people in your line of work you can follow them, add them to a Twitter list or, hey why not just go for it and Tweet to them. Pitch yourself to the journalists or ask important questions to any industry groups, associations or publications you find. Twitter is all about engagement and the worst thing that happens is you don't hear back. Now I'm not saying that every tweet you send needs to be targeted at some industry mover or shaker. But at the very least, I suggest that you mix some of these targeted tweets in with your usual schedule of tweeting about what you had for lunch or what's on TV.